SMARTLEARN group members have coordinated and participated in leading research and teaching innovation projects. The colMOOC: Integrating Conversational Agents and Learning Analytics in MOOCs. Funded by the European Commission. Program: Erasmus+. Call: E+ KA2: Cooperation for innovation and the exchange of good practices (Knowledge Alliances). Duration: January 2018 – December 2020. Overall funds: 999,673€. Project with 9 partners. General project coordinator: Stavros Demetriadis (AUTH). Project coordinator at UOC: Santi Caballé. UOC funds: 108,820€. Botter: un company robot per ajudar els estudiants novells de la UOC (A robot mate to assist UOC novice students). Funded by the Universitat Oberta de Catalunya through the teaching innovation project (UOC-APLICA-2017). Duration: January, 2017 – January, 2018. Project leader: Beni Gómez (UOC). Termòmetre Emocional per la Docència (Emotional Thermometer for Teaching). Funded by the Universitat Oberta de Catalunya through the teaching innovation project (UOC-APLICA-2016). Duration: January, 2016 – July, 2017. Project leader: Modesta Pousada (UOC). ICT-FLAG: Enhancing ICT education through Formative assessment, Learning Analytics and Gamification. Funded by the Spanish Government: MICINN (Ref. : TIN2013-45303-P). Duration: January 2014 – September 2017 (45 months). Funds: 77.091€. Project leaders: Robert Clarisó and Santi Caballé (UOC). ICA: TREBALL@: Alineament de l’oferta laboral de la UOC amb les necessitats laborals. Industrial project Avanza2 with company Project of type INNOVA UOC. INNOVA2014. Funds: 48.000€. Duration Jan – Dec 2014. Co-cordinated by Jordi Conesa (UOC). TeVeo: Del TExt al VidEO. PID: Projects for Innovation in Teaching. Funded by the Open University of Catalonia. (Program APLICA 2012; Ref: APL2012PID041). Duration: March, 2012 – February, 2013. Project leader: David Bañeres (UOC). Virtualització aprenentatge col·laboratiu (Virtualization of collaborative learning). 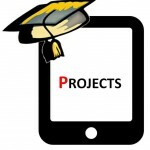 PID: Projects for Innovation in Teaching. Funded by the Open University of Catalonia. (Program APLICA 2012; Ref: APL2012PID002). Duration: March, 2012 – February, 2013. Funds: 3,500€. Project leader: Santi Caballé (UOC). MITC: ITINER@: Sistema Tecnológico y Social para el Impulso de Rutas Arqueológicas y Turísticas y del Comercio Minorista Relacionado. Industrial project funded by Ministerio de Industria, Turismo y Comercio Ref: TSI-020302-200. Duration: 2009-2010. Funds: 14.235€. Coordinated by Antoni Pérez Navarro (UOC). TEDIS: Red Científico-Tecnológica en Tecnologías para el Desarrollo Industrial de Software. Funded by the Spanish Government: MCyT (Ref: TIN2011-15009-E). Duration: October, 2012 – December, 2013. Funds: 10,000€. Project leader: Juan Manuel Vara Mesa (UCIII). iLIKE: Avaluació d’espais online en temps real. PIG: Innovation in Teaching Management. Funded by the Open University of Catalonia (Program APLICA 2011; Ref: IN-PIG1102). Duration: February, 2011 – January, 2012. Funds: 4,000€. Project leader: Carles Fernàndez (UOC). International Conference on Intelligent Networking and Collaborative Systems. Ayudas para la realización de acciones complementarias dentro del programa nacional de proyectos de investigación fundamental. Plan Nacional de I+D+i 2008-2011 (AA.CC.). Funded by the Spanish Government: MICINN (Ref: TIN2009-07489-E). Duration: Jan, 2009 – Des, 2009. Funds: 9,700€. Project leader: Santi Caballé (UOC). The HAROSA Knowledge Community (HAROSA KC). Funded by the Internet Interdisciplinary Institute (IN3) at the Open University of Catalonia. (Ref: IN32009-AKC91). Duration: Jan 2009 – Des 2012. Funds: 90.000€. Project leaders: Angel Juan and Daniel Riera. INCOS-2009. Funded by the Elearn Center (eLC) at the Open University of Catalonia. (Ref. : INCoS 2009). Funds: 2,100€. Project leader: Santi Caballé (UOC). Gestió Encàrrecs Professorat. ATI: Transversal Actions of Innovation in Teaching. Funded by the Open University of Catalonia. (ATI-UOC 2009; Ref. : IN-ATI0902). Duration: March, 2009 – March, 2010. Funds: 4,500€. Project leader: Santi Caballé (UOC). COLE: COntributory LEarning systems. Funded by the Spanish Government: MCyT (Ref. : TIN2008-01288/TSI). Duration: Jan-Des, 2009. Funds: 10,000€. Project leader: Thanasis Daradoumis (UOC). DSDM: Red de Desarrollo de Software Dirigido por Modelos. Funded by the Spanish Government: MCyT (Ref: TIN2008-00889-E/TIN). Duration: Nov, 2008 – Nov, 2010. Funds: 24,000€. Project leader: Antonio Vallecillo (UMA). Desenvolupament de Sistemes d’Informació per al Seguiment, Avaluació i Potenciació de l’Aprenentatge en Entorns Virtuals. MQD: Improvement of Quality in Teaching at Catalan Universities. Funded by the Catalan Government (Agency for Management of University and Research Grants – AGAUR) (Ref: 2008MQD 00177). Duration: Sep, 2008 – Sep, 2009. Funds: 8,000€. Project leader: Santi Caballé (UOC). SAMOS: monitorització de l’activitat de grups i estudiants en entorns col·laboratius online. PID: Projects for Innovation in Teaching. Funded by the Open University of Catalonia. (PID-UOC 2008; Ref. : IN-PID0702). Duration: Sep, 2008 – Sep, 2009. Funds: 2,000€. Project leader: Angel Juan (UOC). Entorn de suport per a l’autoaprenentatge de la modelització de dades. PID: Projects for Innovation in Teaching. Funded by the Open University of Catalonia. (Ref. : PID-UOC 2008). Duration: Sep, 2008 – Sep, 2009. Funds: 6,000€. Project leader: Jordi Cabot (UOC). Desenvolupament d’una eina de treball col·laboratiu. ATI: Transversal Actions of Innovation in Teaching. Funded by the Open University of Catalonia. (ATI-UOC 2007; : IN-ATI0714). Duration: Sep, 2007 – Sep, 2008. Funds: 2,000€. Project leader: Santi Caballé (UOC). DPCS: Distributed, Parallell and Collaborative Systems. Funded by the Internet Interdisciplinary Institute (IN3). Duration: Sep, 2006 – Sep, 2007. Funds: 80,735€. Project leaders: Thanasis Daradoumis and Joan Manuel Marquès (UOC). MOSAIC: MosaicLearning: Mobile, Open-source, Standards-based & secure, context-aware, Individualized, Collaborative eLearning. Funded by the Spanish Government: MEC (Ref. : TSI2005-08225-C07-05). Duration: Jan, 2005 – Des, 2008. Funds: 80,000€ (UOC group). Project leader: Carlos Kloos (UC3M). Red Nacional de e-Ciencia Entitat finançadora: unded by the Spanish Government: MEC (Ref. : CAC-2007-52). Duration: Jan 2007 – Des 2010. Project leader: Vicente Hernández García (UPV). Thematic Network for the Coordination of Middleware Activities in Grids. Funded by the Spanish Government: MEC (Ref. : TIN2005-25849-E). Duration: 2006 – 2007. Project leader: Ignacio Martín Llorente (UCM). Cyted Grid. Funded by the IberoAmerican Programme for Development in Science and Technology to promote education and use of Grid technologies involving IberoAmerican countries. Duration: 2006 – 2009. Funds: $120,000. Project leader: Francisco Tirado Fernández (UCM). Kaleidoscope Network of Excellence. Subproject Grid SIG. Funded by the European Union within the Sixth European Union Framework Programme for Research and Technological Development (Ref: European Commission Contract No. NoE IST-507838). Duration: Jan, 2004 – Jan, 2008. Funds: 18,000€ (UOC group). Project leader: Pierluigi Ritrovato (CRIMPA). Kaleidoscope Network of Excellence. Subproject CSCL SIG. Funded by the European Union within the Sixth European Union Framework Programme for Research and Technological Development (Ref: European Commission Contract No. NoE IST-507838). Duration: Jan, 2004 – Jan, 2008. Funds: 18,000€ (UOC group). Project leader: Frank Fischer (CGCG). VMT: Virtual Math Teams. Funded by the USA Government: National Science Foundation (Ref: IERI grant #0325447). Duration: Jan, 2003 – Des, 2008. Funds: $50,000 (UOC group). Project leader: Gerry Stahl (Drexel University). CRAC: Compartición de Recursos para el Aprendizaje Colaborativo. Funded by the Spanish Government MCyT (Ref. : TIC2002-04258-C03-01) in the field of Grid and Peer-to-Peer Middleware for Cooperative Learning Environments (GRIPEPEMICOLE). Duration: 2002 – 2005. Project leader: Leandro Navarro (UPC).